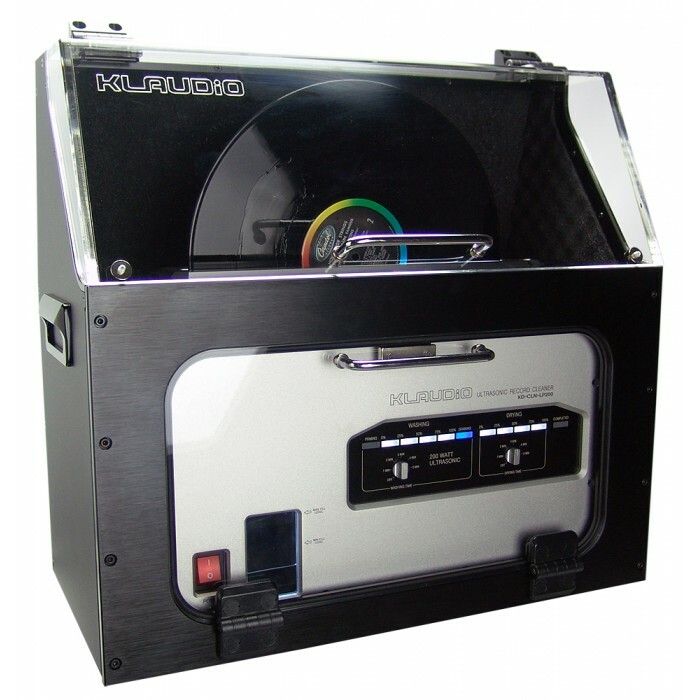 Klaudio's silencer is a very high quality acoustic dampening case for the KD-CLN-LP200 ultrasonic record cleaner. With a substantial noise reduction down to approximately 50dBA, records can now be cleaned and dried nearby instead of in another room. 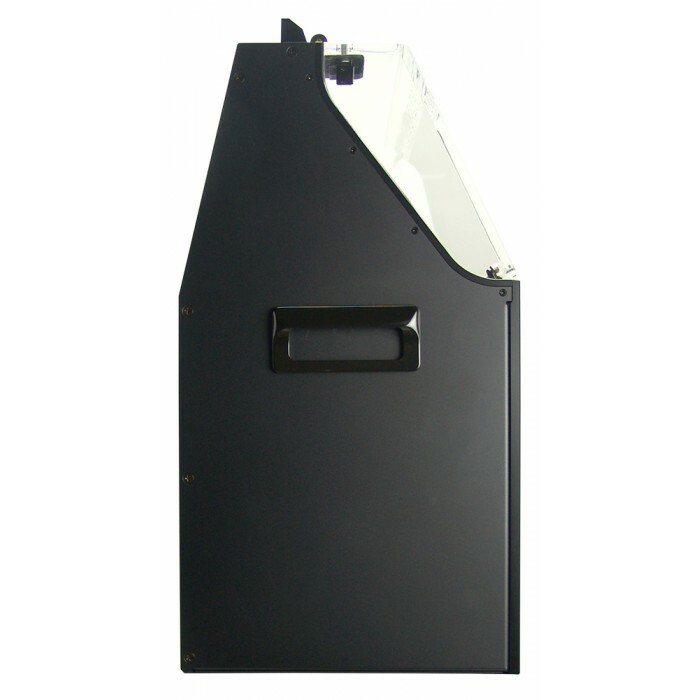 The enclosure is made of heavy acrylic, steel, and brushed aluminum, and is lined with sound absorbing foam and rubber seals. Separate doors allow access to the LP record and front control panel. To prevent humidity buildup within the enclosure, Klaudio's silencer uses an active airflow channel with intake and exhaust fans in back. 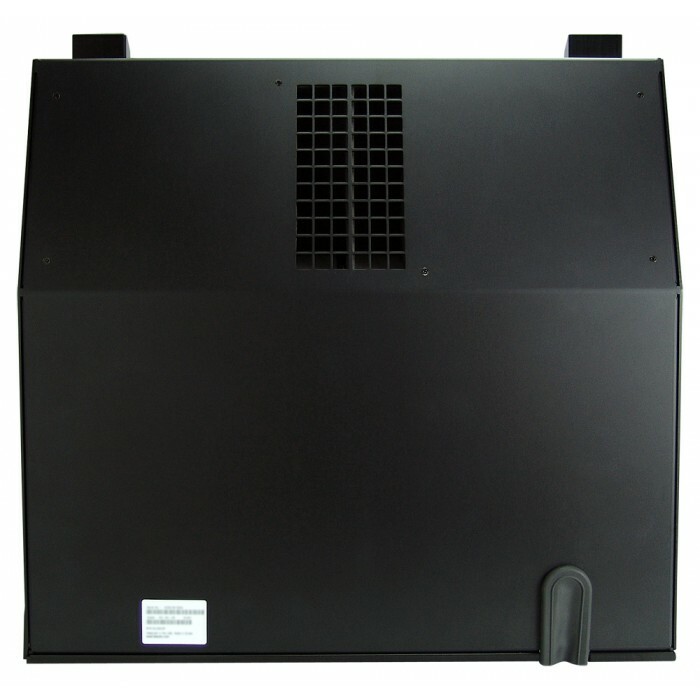 Sound is suppressed with specially designed air chambers. Fans are powered by the auxillary power port on the rear of the ultrasonic cleaner, or with an optional AC inverter. Note: This product is not compatible with Klaudio's Automatic LP Disc Loader.